1:35doing. There's a lot to get through in a short period of time. It's going to be a great session. 1:40I'm going to turn it over to Adrian directly. >> Adrian: Thanks Kurt, good morning everybody. 1:50thanks for getting up early and coming down. We've got a great turnout, which is fantastic. 2:23to thank you and the staff there for supporting us. 2:41is. Also, we're certainly going to allow for, should time permit, some questions afterward. 4:38solve this problem before it becomes a problem." I'm committed to your industry without a question. 5:00on serving the industry. I asked Akram to abandon his COO role and be the president. 5:52of that will be good. DNA could play the key role of actually engaging with us as an industry. 6:45Ingram Micro we had 25,000 resellers. We could never get a 98% audit complete on 25,000 resellers. 8:13pendulum to swing back to focus on our issues on ICANN." It hasn't really since Istanbul. 8:51when he comes in. It's probably harder to park these days. That means also growing pains. 8:59This is a big team that needs a lot of focus and attention and direction. 10:01[00:10:00] and there could be some mechanisms to make this easier for you at these meetings. 10:30them. Kurt certainly can reach me and we will help you and support you in every way we can. 10:49or is this ... I don't know, is this a major issue for the members? Do you care about this? 11:30transition will happen. What are we worried about? What is the biggest worry we have? 12:17range of different issues, especially at this meeting, where the goal posts seem to be moving. 13:27into the transition, how does the transition affect predictability? I am not seeing it. 13:34How does the transition add or take away from the predictable environment? 14:18any other predictability? I want to address that. Other predictability? 14:24>> Fadi Chehade: Factors in the transition that will affect predictability. 14:56we should get in there, get our hands dirty, and start talking about that sort of stuff. 15:54and the predictability there is what's critical. >> Fadi Chehade: Okay. Anything else on predictability? 16:00[00:16:00] >> Adrian: I've got Jordan and Jeff. 16:03>> Fadi Chehade: At least in regards to the transition. 17:38we tell NTIA that the change is ready to be done in IANA, NTIA tells Verisign to do it. 19:07because no one wanted to move until we got a sense of where we're heading. 20:05ICANN to actually do that work. That will keep things stable. 21:14there is an accountability track, go there. Let us decide how our operation will work." 22:30extreme conditions, to spill the board of ICANN. We have to accept that. 23:25and give the community some power over the decision making process. Next? 23:30>> Jeff Neuman: Yes. >> Fadi Chehade: Mr. Neuman. 24:06that we used to, since 1998 when the white paper came out. Yes, I was around back them. 24:18of us was never to deviate and create new international regulatory or legal regimes. 24:25I believe now we have completely deviated from that. 24:29We are listening to governments who are giving advice, or not even necessarily giving advice. 25:26bit, but this is how the current political environment is already affecting our predictability. 26:13to say no to the GAC because of the political environment that's created by the transition. 26:36for it this way, and you know, how many times did Ira show up at ICANN meetings since then? 26:40>> Jeff Neuman: None. >> Fadi Chehade: Never. 28:48we will be free of the pressures I'm feeling now all of the time. "You're an American agent,"
28:52I was told walking into a European office of minister. "You guys are American agents." 28:59We're not American agents, we are a community of people, this is how we make decisions. 29:03You go through all of that and it comes back down to the silly contract with Vernita Harris. 29:40of this. Finally the Chinese are not saying, "Who is ICANN?" At every international meeting. 30:36is to remove this card they keep playing on us that we are an American agent. 30:40>> Adrian: [inaudible 00:30:43] two more questions, I know you're pushed for time. 31:10funds or resources to help us with universal awareness? 32:05I started in Asia we had one guy in Beijing, now we have 26 people on the ground in Asia. 33:19rails and you put the trains on these rails. Again, with measure so [inaudible 00:33:25]. 34:05we doing. I want a list of programs and hopefully see ICANN and DNA partner. Last questions. 35:02started, let's say at the same time and with the same focus initially. 35:27describe them as people who are clueless or whatever phrase you used, I think was unfortunate. 35:54want talk. If they want to ... If you tell me they're knowledgeable where is the outcome? 37:18focus on the real issues that will give you predictability on IANA are still not there. 37:23Let's get them in there and finish our work so we can finish this transition. 37:27One last thing I want to tell you about the transition, the transition is killing you. 38:11not wait until we have a [inaudible 00:38:14] or the civil society guys up in arms. 38:34do we need to freeze them? What's the issue?" They said, "Well, it's going to harm consumers." 39:02they're a dentist? I asked the European commission, "How do you make sure dentist.eu is a dentist?" 39:15anything different?" 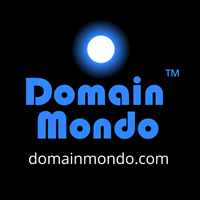 They said, "Well the new gTLD program should be better or a model." 40:01Stratton and with the registrar and remove it." 40:20space and the oxygen to grow your business. Thank you. 40:47Fadi says we need the DNA. Also, that he invented it. A little bit of Al Gore there. Just saying. 41:06and great questions. Thank you.